Our signature facial includes a skin analysis, cleansing, gentle exfoliation, a mask, moisturizer and a light décolleté massage. You and your esthetician can choose between Arcona, Dr. Hauschka, or Luzern as best suited for your skin concerns and needs. Extractions optional. Rhythmic strokes and pure healing products from Dr. Hauschka stimulate skin to support radiance and balance. Includes skin analysis, cleansing, exfoliation, hydrating mask and light décolleté massage. The Sanctuary Signature Facial plus an additional mask for re-balancing and gentle lymphatic stimulation to release toxins beneath the skin. A gentle scalp, neck, shoulder, arm, hand and foot massage is included for extra pampering. Far more then a facial, this luxurious treatment using exclusively Dr. Hauschka products, begins with a soothing sage foot soak including a light massage of legs and feet followed by our Deluxe Sanctuary Facial. Your whole body will be refreshed and rejuvenated, leaving you feeling serene, centered and positively radiant. A truly purifying facial that captures the energizing and therapeutic qualities of organically grown flowers and plants to thoroughly cleanse, exfoliate and help balance the skin. This treatment helps to not only rejuvenate the skin, but helps to balance and tone. Leave with refined pores and refreshed skin. Not recommended for sensitive skin. Uncover a new you with younger looking skin. All natural enzyme peels (customized to your skin) are used to deeply exfoliate dead and damaged surface layers to unveil supple and fresh skin. Extractions are not performed during this facial. A mini facial that Includes cleansing, exfoliation, a light facial massage, and moisturizing. A facial designed specifically for teenage skin; includes skin analysis, deep cleansing, and take-home tips. A customized facial for any skin type and condition. Using the healing and rejuvenating powers of oxygen along with the purest and highly effective ingredients from Luzern, a special combination of moisturizers and serums are matched perfectly to your skin's needs. A great solution for those with skin conditions (acne, rosacea, pigmentation). This rejuvenating facial is a non-surgical lift that instantly tones and firms muscles for a more youthful look. Regular treatments recommended for lasting results. A tightening and toning facial that stimulates healthy circulation, decreases puffiness and inflammation and instantly revives a dull complexion. Infused with volcanic clay minerals and antioxidants, this is the perfect pre-wedding, photo shoot, evening out, or time-to-look-your best facial. 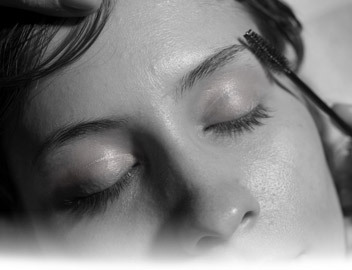 The ultimate in pampering and beauty. This exclusive treatment incorporates an aromatic Enzyme Peel and a firming and toning lift mask with special fermented wine extract. The benefits of this treatment are to regenerate and revitalize the skin. It helps to stimulate collagen and elastin reproduction. Your skin will truly glow after this treatment. If you are celebrating a special occasion, this is the facial for you! Includes our Soho Skin Tight Facial, Micro-Lift, and Oxy Blast. *Waxing is available for an additional charge. Please view our waxing services listed under Beauty Loft. Infused with antioxidants and packed with vitamins, a blast of oxygen added to any facial is a breath of fresh air that will give your skin a dewy and luminous glow. Specifically customized to your skin's needs, our organic peel helps to restore and resurface to reveal soft and supple skin. Designed to firm and tone the delicate skin around the eyes and lift the brows, while reducing puffiness and dark circles. A moisturizing and healing treatment that includes exfoliation, deep heat hydration and massage.